There are several dental plans that are available in the Washington DC area that offer excellent care. If you are new to the area or are simply looking for a good dental plan, there are two specific types of dental plans available that you should consider before making a decision. Let’s take a look at the two plans that are most common. This is the traditional solution that most people think of when they’re in need of dental care. It’s only natural because most people are already paying for auto, homeowner’s, health or some other type of insurance coverage, so it only makes sense to buy a dental insurance policy, right? Well, maybe and maybe not. The main problem with dental insurance is that it does not cover any type of pre-existing conditions. This means that if you already have a mouth full of cavities, buying insurance won’t solve your problem because the policy won’t cover you. In other words, if you already have a broken tooth, need dentures, are in pain right now or whatever else the reason for buying insurance, you will not be covered. There is a mandatory 12 month waiting period before an insurance policy will begin to cover existing conditions, and even then, only partially. Dental insurance is designed more for preventive care. This means that most policies will take care of your cleanings, x-rays and other routine preventive costs (you’ll still have to pay the deductible), however, they’re not designed to provide immediate coverage for major dental care. Think about this for a moment. Let’s say that you need a new set of upper dentures and the cost is over $1200. 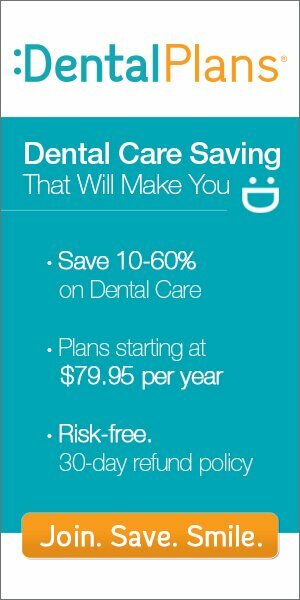 Do you think that a dental insurance plan would pay that $1200 just for you buying a family dental plan for $50 a month? Not a chance. Discount plans are not insurance coverage, but they will offer you big discounts on both major and preventive dental work. The fact that they’re not insurance is actually a huge benefit because it means that they offer immediate, substantial discounts, whereas, with insurance you’d have to pay 100% of the costs yourself initially. If you have an immediate dental problem, you can see a participating dentist within 1-3 days and save a lot of money! Most discount dental plans offer savings of between 10% and 60%, depending on the area of the country that you live in and the plan that you choose. With A Discount Dental Plan Today? There are 236 participating dentists in the Washington DC area that offer these savings. There are also over 30 plans that you can choose from, both nationwide and regionally. If you live in the District of Columbia and are in need of a good dental plan you need to take a good look at discount dental plans before you spend your hard earned money on anything else.